Vladimir Putin’s return to the helm in Russia is hardly surprising, and with it comes the rhetoric and foreign policy of a leader who has always sought to bolster his country’s status as a great power. Part and parcel of this package are the surrounding regions, which have always faced the often overbearing influence of their largest neighbour. In Soviet times this influence was expanded, formalised and centralised with the creation of the 15 republics encompassing territories from Central Asia, the Caucasus and the Baltics. Since the dissolution of the Soviet Union in 1992, the Russian desire to remain involved in its region has manifested itself through the Commonwealth of Independent States (CIS), which has largely been a symbolic structure, often dubbed as the mechanism to bring about a civilised divorce. However, Russian desire to take a proactive lead in bringing greater co-operation and integration in the region remains and the vision is bold. In October of 2011, when announcing his run for the presidency Putin also proclaimed his desire to base his foreign policy largely on the creation of a Eurasian Union which would bring ‘a stronger integration on a new political and economic basis and a new system of values is an imperative of our era’. Practical steps towards this have seemingly begun. 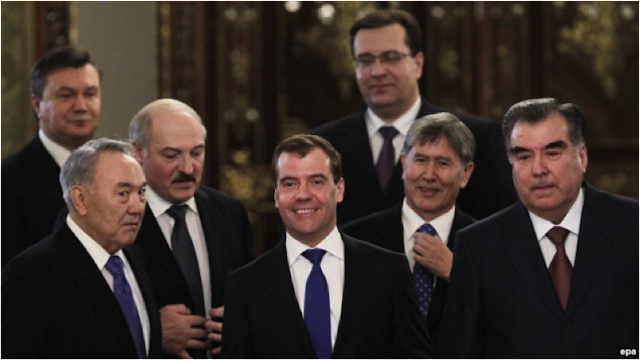 Just last week, Russia’s outgoing president Dmitry Medvedev hosted a meeting including the presidents of Armenia, Belarus, Kazakhstan, Kyrgyzstan, Moldova, Tajikistan and Ukraine on the subject, with the aim of establishing the Union by 2015. Yet, despite the rhetoric and subsequent meetings, the vision would arguably be very difficult to achieve for a number of reasons. Firstly, despite Putin’s proclamations that the Union would not resemble its Soviet predecessor, it is difficult to imagine anything too far off from it. As the biggest country and strongest economy in the region Russia would by default take the leading role. And while Putin may be genuine in his desire to avoid the mistakes of the past it seems unlikely that he will be able to convince his closest neighbours otherwise. Ukraine for example has consistently rejected Russian forays towards greater integration, rather choosing to periodically but openly to align itself with the EU and NATO and to join the WTO. The Georgian reaction to the Union was particularly hostile, with president Mikhail Saakashvili rejecting the idea as little more than an attempt to reconstitute the Soviet Union and the republics’ subordination within it. So while Russian desire is definitely present, the reluctance of the other states will make turning this into a reality very difficult. This reluctance is further influenced by the internal politics of each state and how these motivate their actions. For Putin, the Union would most likely be a good thing. In the face of the recent discontent and delegitimisation at home, what better than to attempt at diverting attention to region-wide initiatives. Even economically it is difficult to argue against such a scheme which could regulate trade and make the bloc more competitive. However, the economics alone seem unlikely to sway the political considerations of the other states. If the Union would help Putin politically at home, it would be perceived to do the exact opposite for other participant states. This is because authoritarianism and corruption are not limited to Russia but are a widespread issue in the post-Soviet space. Because of this, leaders in other states would most likely fear an erosion of their power should integration progress. Such a pre-occupation with maintaining the internal status quo has already hampered processes of integration at a smaller level. Numerous organisations have been formed since the 1990s. Examples include the Collective Security Treaty Organisation (CSTO), GUAM, the Community of Democratic Choice and the Shanghai Co-Operation Organisation. The membership of each is varied but the one thing they all have in common is their confinement to paper with very little to show for in terms of concrete results. The reason for this failure is largely linked to the desire of most leaders to shield themselves from any influences which may seek to delegitimise or question their rule. So for example, the Shanghai Co-Operation Organisation in Central Asia has touted ‘The Shanghai Spirit’ and the ‘Beijing Consensus’ as its base values. The former represents mutual trust and co-operation but the latter refers to economic growth and development without political interference. This translates into an organisation which effectively promotes the security of the authoritarian regimes in the region from outside interference and bolsters their individual security. Essentially, if the CIS provided a civilised divorce, regional organisations like the SCO represent a marriage of convenience. It is a guarantee of such non-interference which seems unlikely to continue should a Eurasian Union, led by Russia and Putin, come to being. 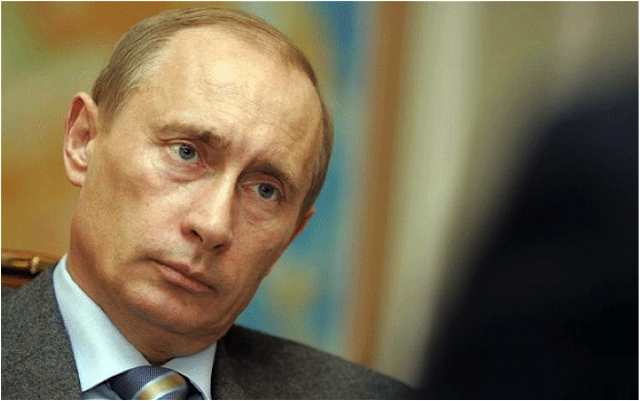 The Kremlin’s support for Viktor Yanukovic during the 2004 Ukrainian elections for example was very public, with Putin visiting Kiev twice and offering his congratulations to him before the results were public (he actually lost the election). Such precedents are likely to make other states fearful of entering any formal and widespread integration project. This all highlights another obstacle to integration, Russia’s problematic stance of undermining its neighbours in order to achieve its own goals. For example, even despite the pro-Kremlin Yanukovich’s eventual accession to power in 2010, Russia has struggled to maintain good relations with Ukraine. A major issue, highlighted by a government figure from Ukraine has been the Kremlin’s inability to view the country as an equal partner despite a number of Ukrainian concessions including dropping their pursuit to join NATO. Ultimately, it is this attitude which taints Russian interactions with all its neighbours and which will most likely seal the fate of any plan to promote integration on a wide level. So while Putin’s plans may be grand and his vision is undoubtedly bold, its materialisation seems highly unlikely as Russia will always view itself as the regional leader who knows best. This attitude, and its historical resonance through the Soviet Union’s history, will always clash with the post-Soviet states’ desire to be treated as independent equals, and to uphold their own, often authoritarian, regimes.